Just a little bit of information about the Scottish national dish known as Haggis. 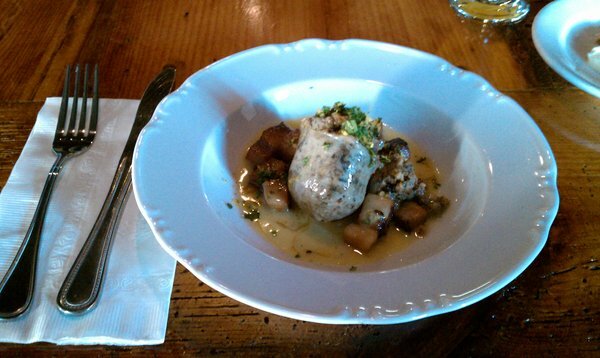 Haggis is a dish containing sheep’s pluck – heart, liver and lungs. Minced with onion, oatmeal, suet and spices. Traditionally packed inside the Sheep’s stomach. 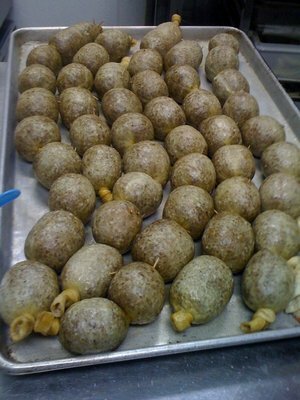 Most modern haggis is prepared in a casing. Haggis is a kind of sausage or savoury pudding. Memorialised as the national dish of Scotland by Robert Burns poem ADDRESS TO A HAGGIS (see below). Matches perfectly with a dram of Whisky . Available in cans and deep fried in chip shops.